Health officials are currently investigating the cause of the food poisoning scare. 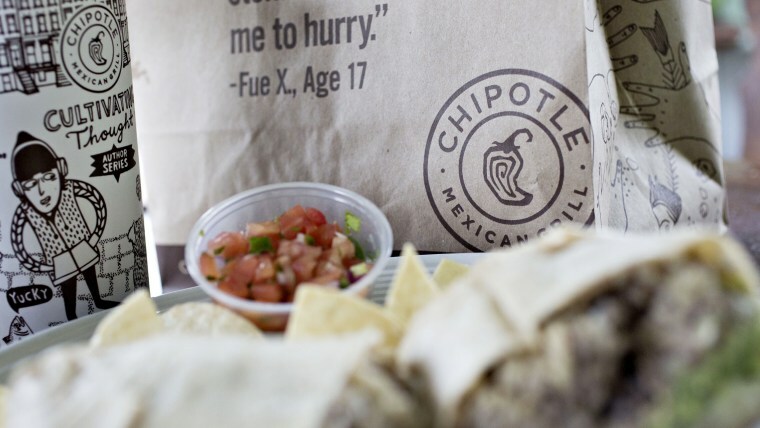 After a spate of foodborne illnesses in 2015 affected restaurants across the country, Chipotle Mexican Grill vowed to clean up its act by implementing new food handling processes in both its restaurants and at the supplier level. But in the past few weeks, Chipotle has been hit with another food poisoning scare — and it may be the largest the company has ever faced. More than 600 people who ate at a Chipotle restaurant outside Columbus, Ohio, at the end of July have since reported gastrointestinal symptoms. According to the Delaware General Health District in Delaware, Ohio, to date 624 people claimed that they have experienced nausea, vomiting and diarrhea after dining at a restaurant in Powell, Ohio, between July 26 and 30. While the store closed immediately following the reports “to implement ... food safety response protocols that included total replacement of all food inventory and a complete cleaning and sanitation of the restaurant,” a Chipotle spokesperson told TODAY Food, the location at on Sawmill Parkway has since reopened. The Health District says preliminary testing results have been negative for salmonella, E.coli, norovirus and shigella, but tests are ongoing and, after the initial inspection, found no reason that the facility should not reopen. “The health of our guests and employees is our top priority,” the Chipotle spokesperson told TODAY Food. But Chipotle already faced some backlash recently after their much-hyped promotion for free guacamole on National Avocado Day went awry. While the latest outbreak has only been linked to one location, the fast casual Mexican restaurant chain being sued over the incident. According to a press release for the law firm filing the suit on behalf of two individuals, this is the seventh time in two years the company has faced a food contamination crisis. In the complaint, one plaintiff, Filip Szyller, says he bought three chicken tacos at the restaurant and the next day began to experience diarrhea, severe abdominal pain, nausea, headaches, as well as hot and cold flashes. In a separate lawsuit, another plaintiff, Clayton Jones, is claiming that he ate a burrito bowl with chicken, fajita vegetables, pico de gallo, rice, sour cream and lettuce and experienced similar medical issues. The response to the latest health scare has been mixed on social media with many saying they aren't phased by the incident. Others, however, are saying it's time for the chain to admit defeat or vowing never to eat at the restaurant again. Man it seems like eating at chipotle's is like Russian roulette! Constantly seeing illness from food issues. Had incident myself. C'mon guys get your act together. Aaron Allen, CEO of the global restaurant consulting firm Aaron Allen & Associates, told TODAY Food that the company still has life despite these repeated incidents, though it’s not doing itself any favors. “You want to bet on this boxer, but he just keeps punching himself in the face," he said. He explained that Chipotle has installed a new executive leadership team this year, which he said likely hasn’t had time to get the company reorganized. Despite the setbacks, however, Allen said investors are becoming desensitized to the food poisoning scares, and understand that Chipotle is more prone to these issues with the number of stores nationwide and the amount of fresh food they handle daily. Allen even sees its potential international growth soon. However, Allen added that Chipotle isn't totally immune to blowback and that these scenarios can’t continue forever. “If these [food scares] keep happening, it’s going to be increasingly difficult to recover from it,” he said.